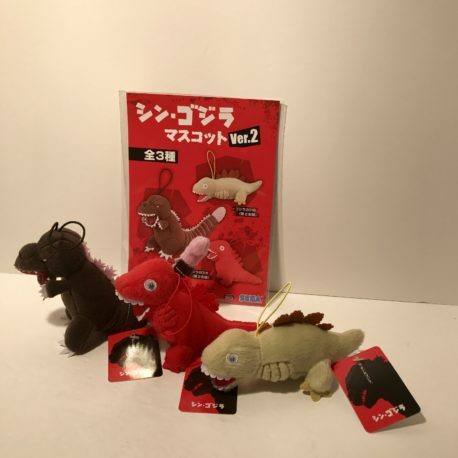 Own all three forms of Shin Godzilla and you can carry them together on your backpack, book bag, purse or any type of carry all that you choose. 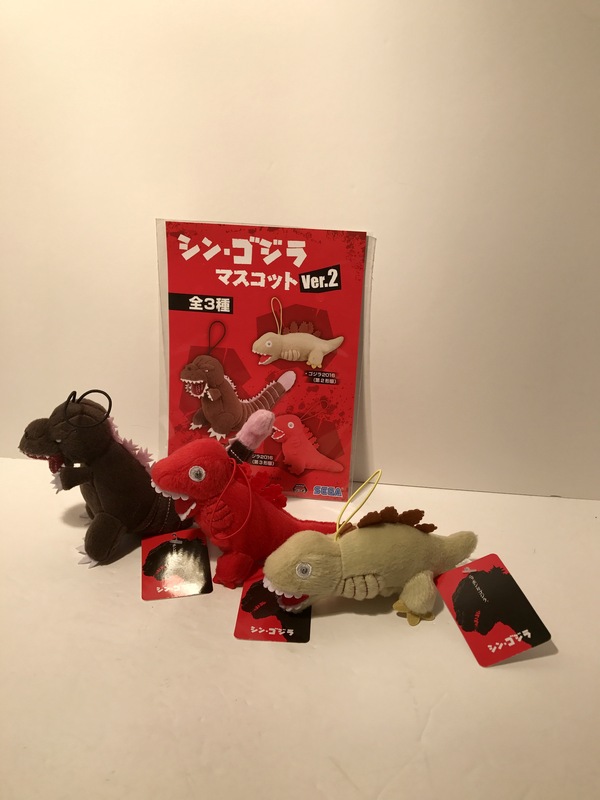 These soft plush pals can be with you wherever you wander. Form 2 and 3 are 6 inches from snout to tip of tail and Godzilla is 7 inches. Each comes in mint condition with hang tags.